Expand search to view more listings in and around San Marcos. See more offices in and around San Marcos. We now have 1 office building located in prestigious San Marcos business positions, offering office suites in a range of sizes and configurations. 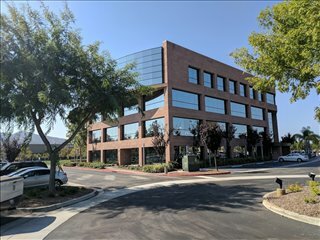 With short term and flexible contracts, will have all the benefits of an enviable business address in San Marcos, California inclusive of an extensive range of support services and facilities, without the commitments of a conventional office space lease. Finding the ideal location which allows your business the space it needs and also to build the right network of connections is both a challenge and an opportunity. Many companies choose flexible office solutions, which allow them the freedom to expand or contract depending on their requirements. A number of the business centers listed on Offices.net come inclusive of a wide range of office support services including dedicated front desk reception and building security, conference rooms and lounge areas, dining facilities and break out areas. In addition, numerous office buildings also include internet and network wiring, parking spaces, 24 hour access and onsite IT support staff. Simply select any of the offices to rent in San Marcos displayed above. Every executive office suite, shared workspace and virtual office boasts a prestigious business position in San Marcos, on flexible terms to suit your office space needs. Haven't got time to search? Just contact us using the contact details above and we'll be happy to show you some locations in and around San Marcos.